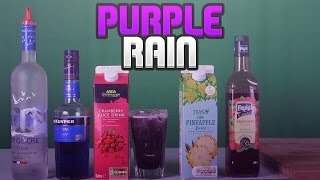 This Sourz inspired drink is quick and easy to make, and gives a great impression with its vibrant purple colour. Squeeze a lime wedge over a tall glass and drop into the drink. Add the Cherry Sourz, Curacao and some ice cubes to the glass and stir well. Top up with lemonade before garnishing with a lime wedge and serve. 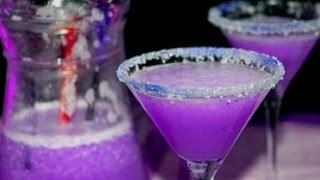 "Purple Rain Cocktail Recipe" "Tribute to Prince" "Cocktails Recipes"